Q. Should I Confess Past Sins? Q. I am 64 and continually go back frequently and recall previous sins that may have occurred 30 yrs ago and wonder if I had confessed them. What should I consider going forward? A. It is a good idea when we are confessing our sins to a priest to add, after we have finished saying our most recent sins, something like “And for all the sins of my past life”“And for any sins which I may have forgotten.” This is not to say that we can purposefully leave sins out of our confession or can leave them vague and undefined. Making these general statements is just acknowledging the weakness of human memory. We are not always sure if we have confessed all that our consciences’ bear, so we throw a sacramental blanket over past or forgotten behavior through the above statements, thus including them in the absolution the priest grants us. Perhaps your question also includes a bit of concern over whether past sins, even sins of the rather remote past, have been truly forgiven if we can still remember them. Let me address that concern briefly.Sacraments have a purpose. Memory has another purpose. 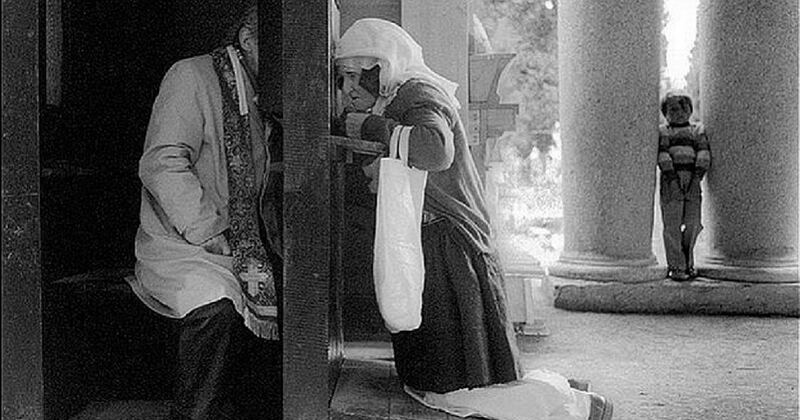 The Sacrament of Confession is not a form of brainwashing. It doesn’t pull a plug at the bottom of our brain and drain all of our memories out. We sometimes remember our past sins, even our sins from many years ago. The trace images of past sinful events that remain in our memory mean nothing theologically. Memories are a neurological or psychological reality. Confession is a theological reality. The confession and absolution of our sins is the only form of time travel that actually exists. Despite all of the creative ways that authors and screenwriters have attempted to convey the ways in which we could go back in time, we can only do so theologically. The words of absolution of the priest extend backwards in time. Because the priest is acting in the person of Christ at that moment he is acting with the power of God, who is above and outside of time. God created time and does bend to its rules. So the words of the priest drift into the human past to erase the guilt, but not the punishment, due to sinful behavior. Such is the power of those simple words “I forgive you.” Who has ever gone to Confession, confessed their sins, asked for absolution, and then was told “no?” It doesn’t happen. If you confessed your sins they were forgiven. They may yet exist in your memory because you are human. But they don’t exist in God’s memory. And, finally, if the memory of past sins is bothersome, though they have been confessed, keep in mind that alongside of the memory of your sin there should be another memory equally vivid – the memory of your confession. That happened too!